Update 1:48 p.m.: The Kardashian Kristmas card 2.0 for 2015 has dropped and it's exactly what we expected with one small change: It's hand-drawn. Kourtney Kardashian shared a full-family card, including the newest addition to the Kardashian clan, Saint West. Done in the style of a fashion designer's sketch, the portrait was drawn by artist Emma Kenny. Get a gander below. This story was originally published on December 23, 2015. 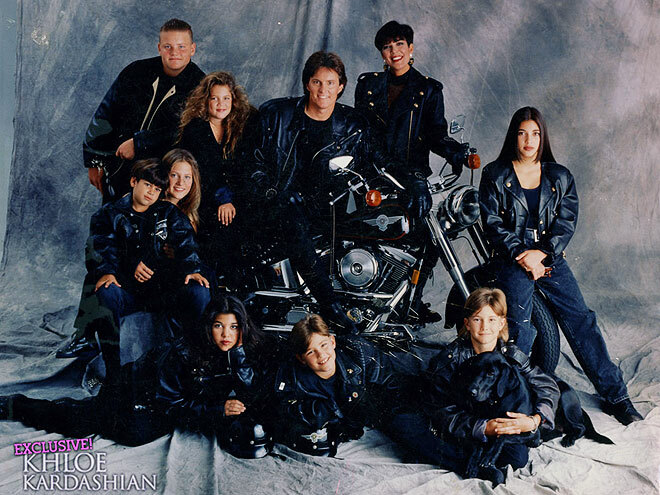 Many words can used to describe the Kardashian family holiday cards over the years. Questionable. Cheesy. Obnoxious. Too much denim. Are you shitting me? Self-important. This year, it's almost as if they heard what everyone was saying. Despite Kris Jenner insisting to Us Weekly that she might not continue the much-vaunted tradition this year, the Kardashian Kristmas Kard has made its way online — and it's actually quite staid and understated. 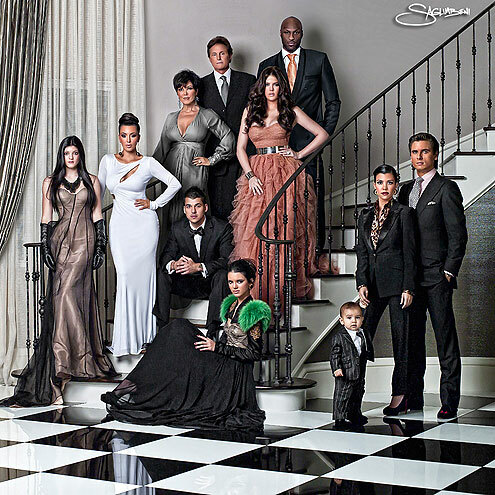 The card forgoes the usual massive extended family portrait and, instead, includes only Kim and Kourtney's offspring. The only one missing is Saint West, so we're guessing this photo was snapped before he was born. In the picture that the two proud mothers shared on their websites and Instagram accounts a short while ago, North West looks beatific alongside her beaming cousins Penelope, Mason, and Reign Disick. Both Kim and Kourtney captioned the snap, "CHRISTMAS CARD 2015: ALL YOU NEED IS LOVE." The Kardashians are evolving, everyone. They're becoming self-aware and appreciative of small blessings, like their children's love. There's no need for a Christmas card that looks more like an ad for American Horror Story: Abandoned Arcade. Merry Christmas to us all. It's gonna be a happy new year.